It was quite a weekend in Vegas. 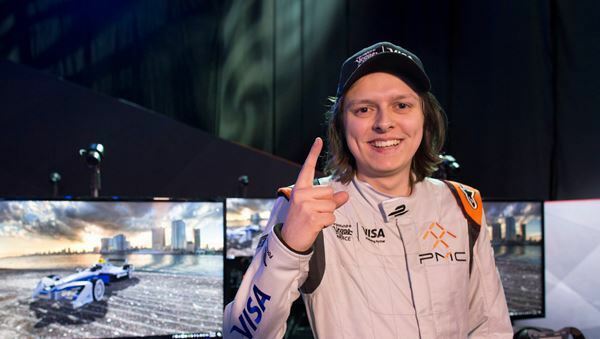 Not only was BMW showing off its latest look at an autonomous future, but 30 drivers took part in the biggest race in eSports history. 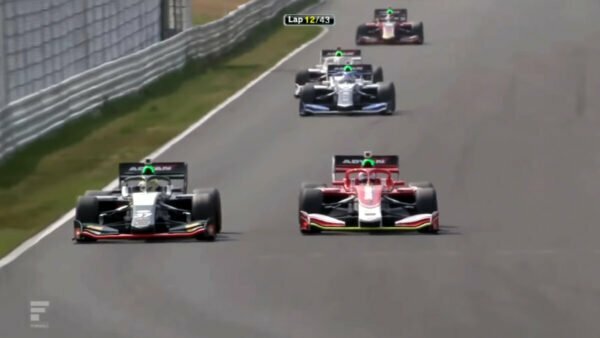 With a cool $1 million in the purse, even the last-placed driver amongst the 20 Formula E pilots and 10 sim racers would walk away with $20,000. As some may have expected — or feared — the Visa Vegas eRace had its fair share of issues on Saturday. 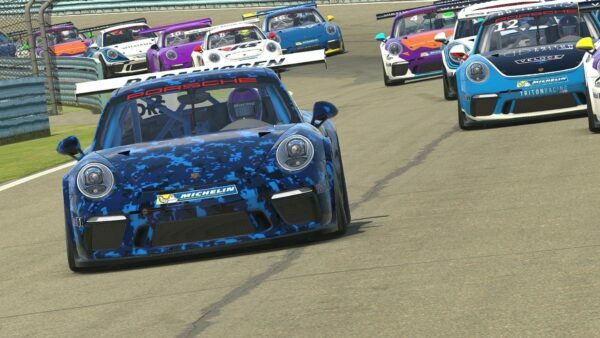 Yes, all efforts were made to ensure the competitors were all on a level playing field (identical PCs running the same build of rFactor 2 via matching rigs with Thrustmaster TS-PC rims). Despite this, a glitch in the system enabled a driver to run away from the field — and unfortunately for Team Redline’s Olli Pahkala (the driver in question), it would end up costing him six figures. The race started well enough. Sitting on pole was Bono Huis, the 22-year old that found a solid half-second in qualifying over the pack. To the surprise of many, one of the pro drivers lined up right alongside him: Mahindra Racing’s Felix Rosenqvuist. Sim racers dominated the top half of the grid however, and would continue to do so over the course of the (shortened) 20-lap race. Nearing the end of the first lap, Patrik Holzmann of ABT Schaeffler Audi Sport would clip the wall, crossing over the main straight and collecting Antonio Felix de Costa, dashing podium hopes for both Formula E drivers. After that, the race proceeded with little drama until the mid-way point. Heading into the first turn — a slight kink in the Vegas road course, seemingly plucked from the classic SSR11 course in Gran Turismo — three sim drivers tried to take a line that could only accommodate a single car. Disaster inevitably struck as Aleksi Uusi-Jaakkola, Graham Carroll, and David Greco all made contact, though the Finn would make it through relatively unscathed. As Rosenqvuist stayed glued to Huis’ tail, the two took their pit stops late, three quarters of the way through the race. They would emerge with Olli Pahkala ahead, whose early pit strategy seemed to pay off as he was able to race in clean air. When it was revealed that Pahkala was shaving entire seconds off Huis’ qualifying hot lap, nobody quite knew what to make of it. The culprit was the controversial fan boost, a feature carried over from the real-world Formula E circus. Pahkala was one of the drivers awarded the perk pre-race, though a malfunction meant he could continually use it after his mandatory mid-race pit stop. Olli would go on to cross the line comfortably in first, with Huis and Rosenqvuist rounding out the podium. A post-race penalty would tack 12 seconds onto Pahkala’s final time, knocking him down to the third step. David Greco received an extra $10,000 for setting the fastest in-race lap. Provided he didn’t hit any casinos, Bono Huis left Las Vegas $225,000 richer. 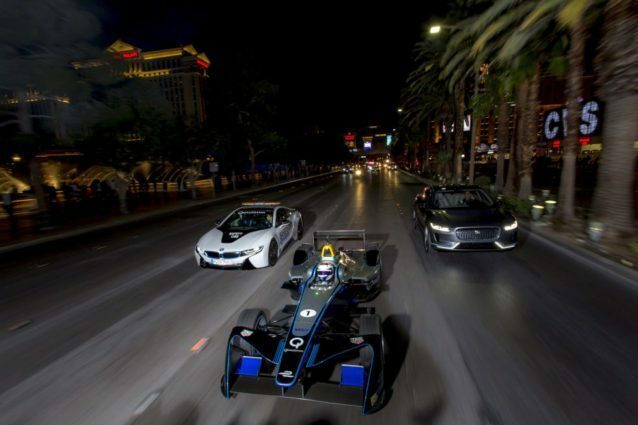 Image courtesy of Formula E.
The big question: was the event a success? Two main points of criticism were the outdated graphics and the Pahkala penalty. The graphics are hard to defend: comparisons to PS2-era games are almost too generous. rFactor 2 is a favourite for many race teams, so we can’t argue with the choice from a physics engine perspective, but a spectator sport needs to appeal to, well, the spectators. Racing games face a unique challenge in terms of graphics, however. Looking over this list of top eSports games from ESPN, most titles have eye-catching graphics, but don’t also have to worry about appearing realistic. 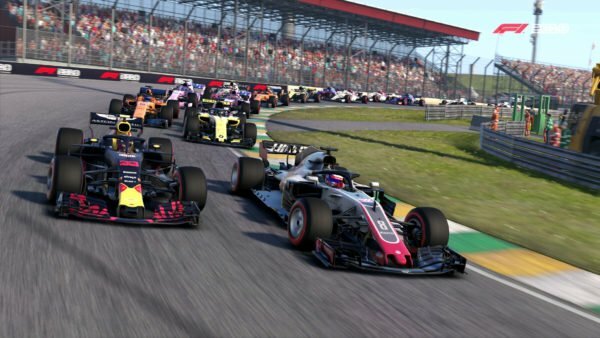 As the dominant approach with competitive racing games is realism — hello iRacing, Project CARS, Gran Turismo — there’s less wiggle-room for visual interpretations. 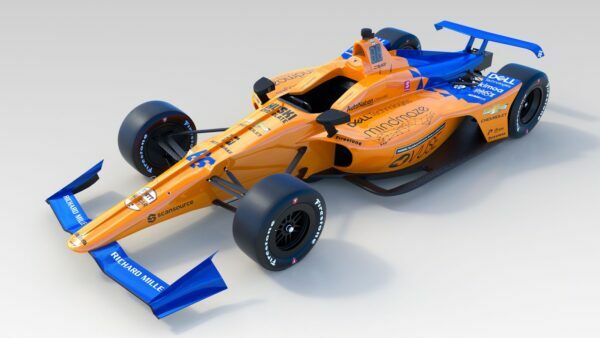 That being said, if the goal was to ensure the drivers couldn’t practice pre-race, the rFactor 2 choice makes a lot more sense. The track was a secret until only hours before the drivers would take to it. The entire 2015 Formula E lineup is available in Forza Motorsport 6, but that’s a game that’s been commercially available for a year and a half, not to mention an unlikely platform for a custom track for a one-off event. 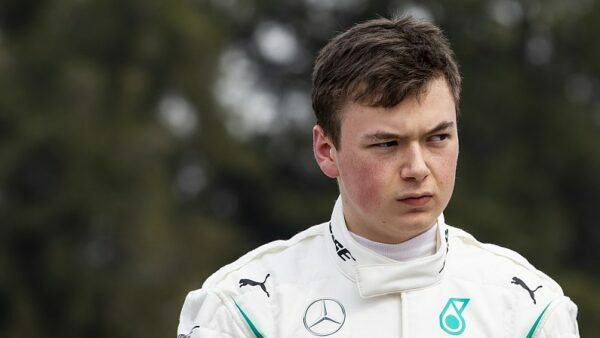 The post-race penalty was unfortunate, only because it wasn’t Pahkala’s fault. The Team Redline driver did what many sim racers find second nature: he found the limits of the system he was using, and exploited them to his advantage. We saw something similar happen last year in the inaugural ForzaRC, when corner-cutting forced a change in circuit. Before that, an entire round of Nissan’s GT Academy was cancelled in 2011 when players found a way to game the system. The race stewards were undoubtedly in a no-win position: re-running the race didn’t seem like a viable option, while leaving the glitch-induced results in place would have also courted controversy. 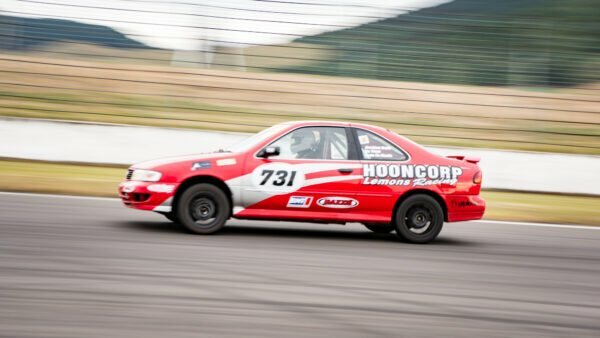 In the end, the best we can hope for is these sorts of issues being ironed out for the next race. 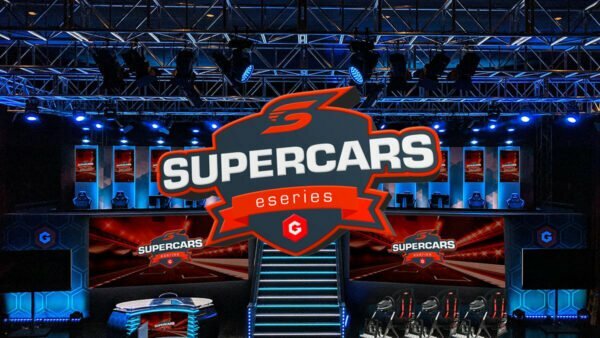 We look forward to seeing how Formula E continues to evolve its eSports initiative, especially in the face of Project CARS 2 and its own focus on the movement, as well as Polyphony’s own take on FIA championships with GT Sport. 2017 could be a big year for racing, as we already suggested last week. Congrats to all the winners from the Visa Vegas eRace!